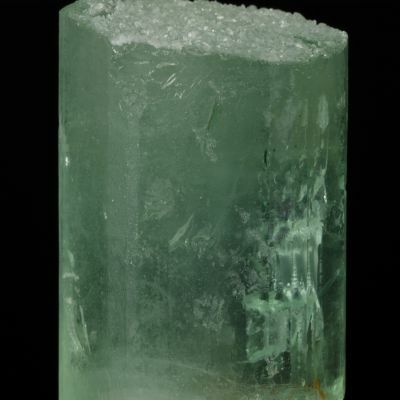 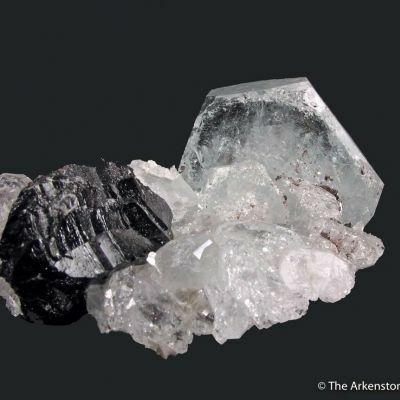 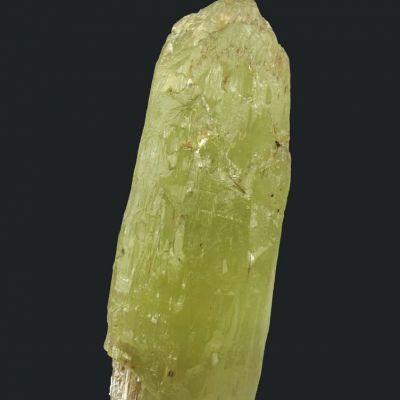 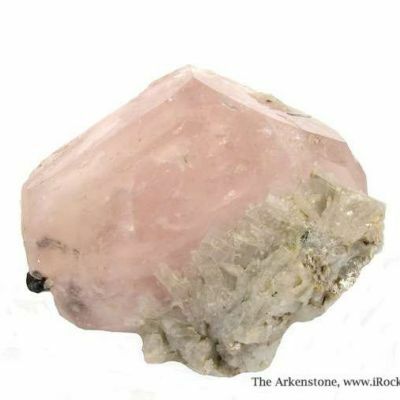 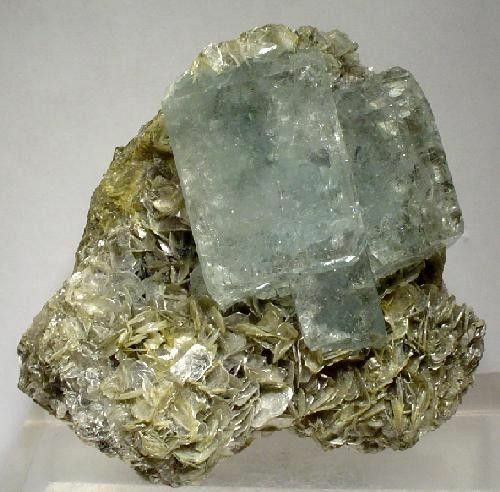 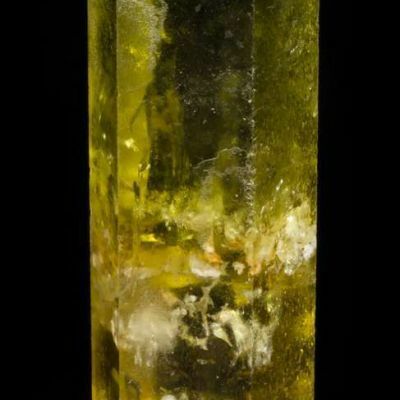 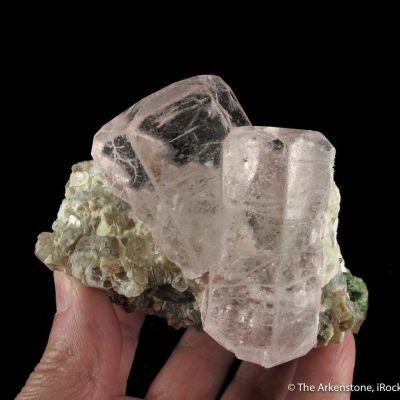 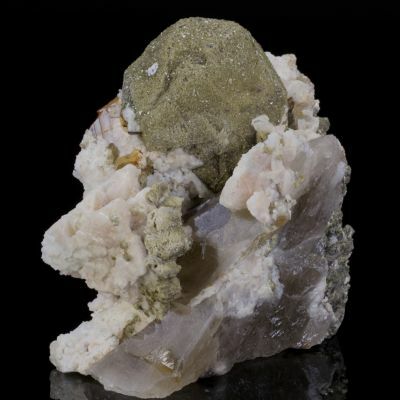 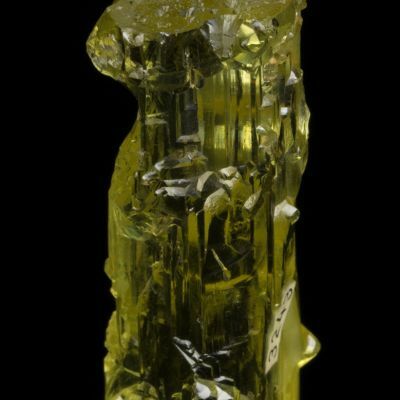 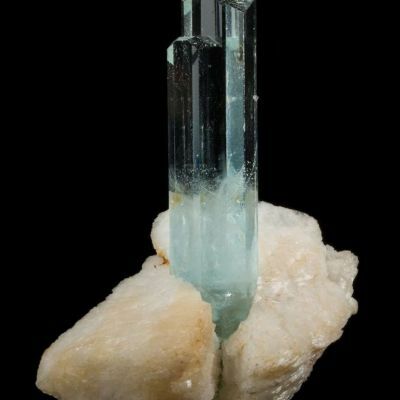 A very showy and aesthetic Chinese specimen with UNUSUALLY BLOCKY, gemmy and glassy, aquamarine crystals artfully set on muscovite matrix from Mt. 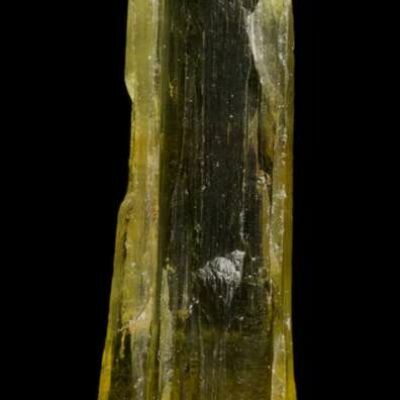 Xuebaoding. 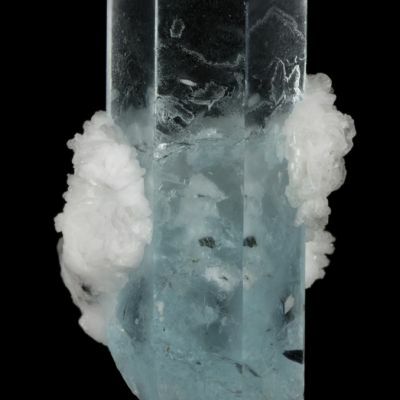 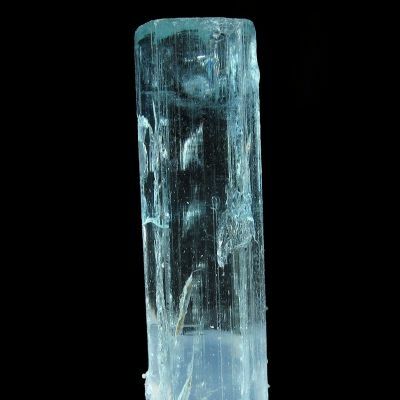 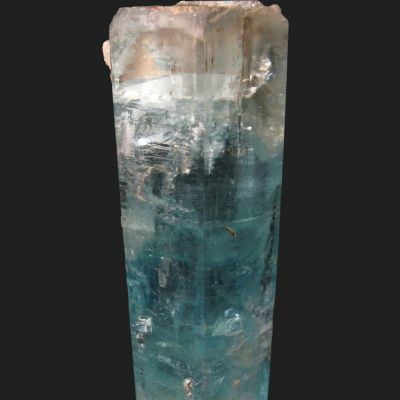 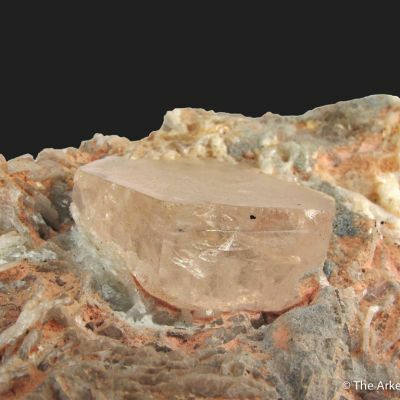 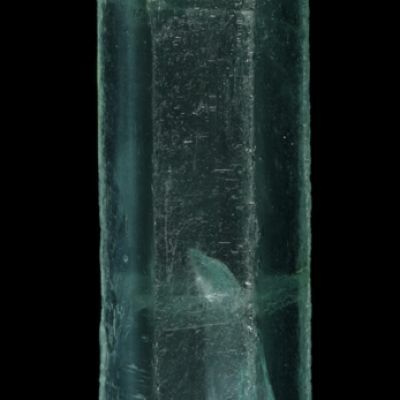 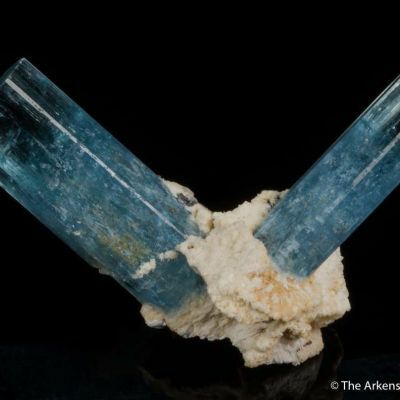 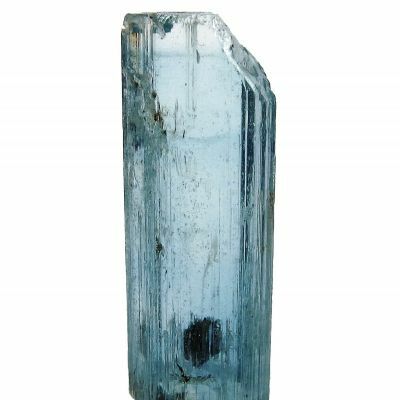 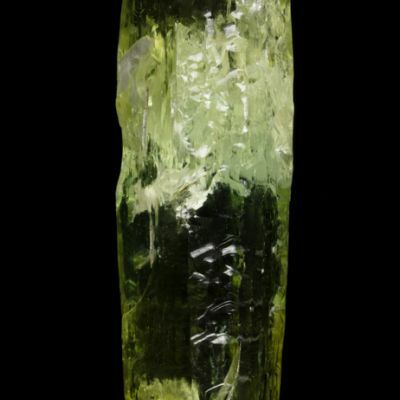 This aqua crystal form is rarely seen in Chinese aquas. 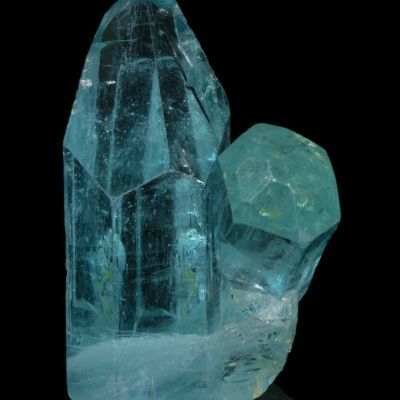 The aquas are very nearly pristine, with only a slight contact on the upper left hand corner. 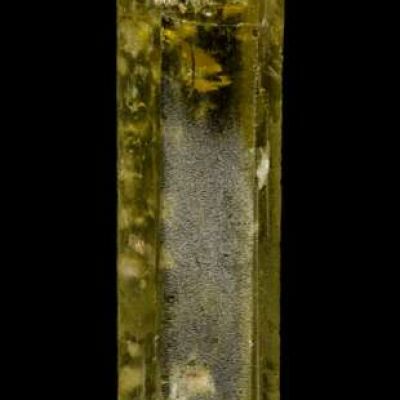 Barely visible and certainly not a detraction.